Natasha Mumba as Black Girl has a lot on her mind. 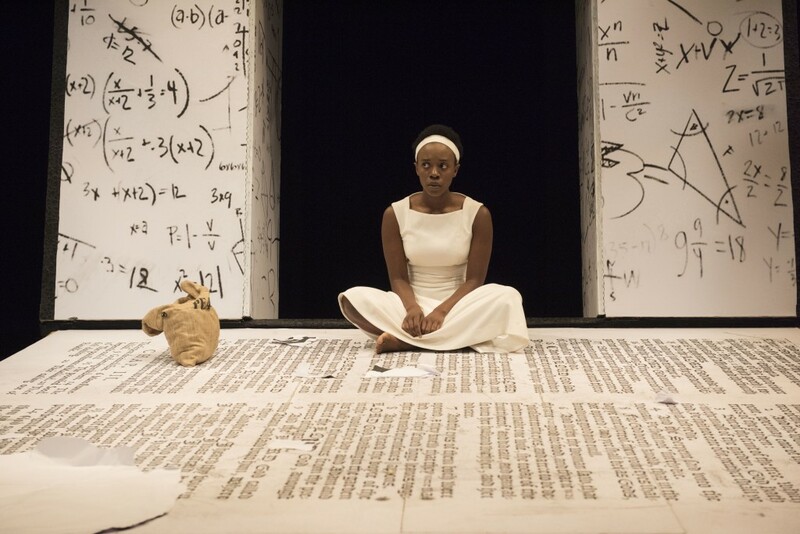 The Shaw Festival Presentation of ‘The Adventures of The Black Girl In Her Search For God’ is proof of Shavian intervention on the contemporary stage. Time to confess. Regardless of your belief system, you’ve had some mighty big questions about the conceptual basis of creation and beyond. So much that you’ve found yourself playing Taylor Swift recordings backwards to see if there’s a hidden message that connects all the dots that organized religion has failed to do throughout the ages. The city’s premier online theatre magazine has two prophecies to share: First, stop looking for spiritual meaning in Taylor Swift records frontwards or backwards otherwise you’ll fast track the Apocalypse. Secondly, high tail it down to the Court House theatre in NOTL or risk being smited by a Supreme Being who also thinks the world’s top earning musical celebrity if pretty darn funky too. While adaptations are risky business, playwright Lisa Codrington demonstrates a bold sign of faith by staying true to the miracle working ways of George Bernard Shaw’s satirical allegory. Fast, funny and flippant, it’s like being baptized in a bottomless pool of giggles. ‘Where can I find God? He’s the only one who can answer my questions,’ pleads the truth thirsting Natasha Mumba who displays a fearless dose of ‘black girlness’ in her role as a messenger on a mission African convert. Tara Rosling is a heavenly howl as the frazzled White Missionary bound for a straightjacket while Graeme Somerville positions himself as a holy hoot stating the record of facts as The Almighty. Ben Sanders’s King Solomon mines for comical wisdom far and wide with Jonathan Tan’s self-sacrificing Conjuror helping playgoers see the bright hilarious light. Director Ravi Jain packs this staging with all the goofy sensibilities of an episode of Seinfeld. Until there’s an ‘Adventures of a God in Search of His Black Girl’ sequel, this is all atheists and Sunday worshippers need to make amends for the sinful deeds. My friend saw this story in previews and said it was quite nutty. I find it hard to get into a lot of Shaw plays, just not my cup of tea but I read this one when was younger and liked it a lot. Tara Rosling’s portrayal of a nun in Black Girl was funnier than a potato sack full of possum’s trying to knit sweaters. Crazy good fun. Andvenures of a Black Girl is what classic comedy is all about. I think Lisa Cordingto just got that in her re-rewrite which is why this turned so funny with her ensemble.